The star attraction at the forthcoming Dubai International Boat Show will be the 88.5-metre superyacht Nirvana, the largest yacht on display at the show, which runs from March 4-8. 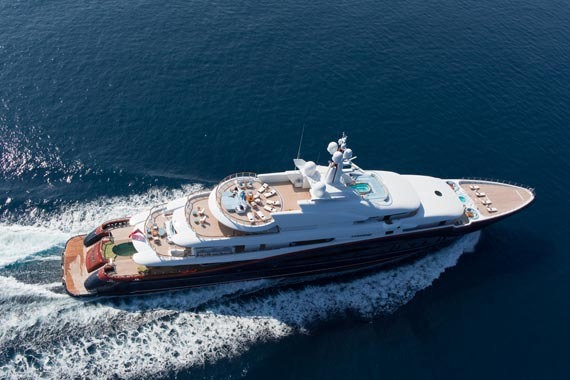 The 2012 Oceanco is currently the most expensive yacht for sale in the world, asking €230 million, and is being shown by Edmiston. 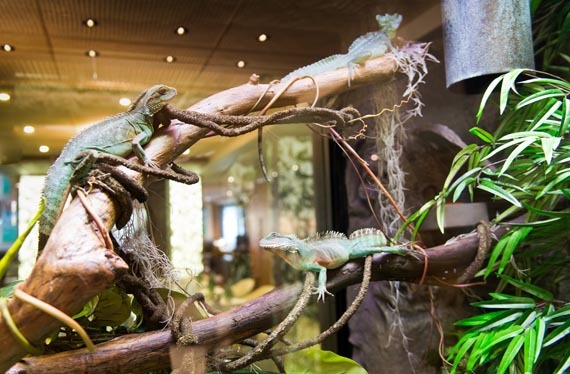 Among the yacht’s incredible features are her exotic glass reptile houses – two vivariums that are home to bearded lizards, chameleons, water dragons, exotic frogs and turtles (below). She also has a jet-pool, with a floor that rises to create a gigantic party space, and there is a disco lounge with smoke machines and laser lighting. Each floor of this six-deck yacht, designed by Sam Sorgiovanni, is connected by a main stairwell and an extraordinary six-person glass lift. She accommodates 12 guests and 27 crew. Edmiston is partnering with AgustaWestland, which will showcase the GrandNew helicopter on board one of Nirvana’s two heli-decks. Following the show Nirvana will tour the UAE making stops in Abu Dhabi, Doha and Muscat. “The Dubai International Boat show has been running for 22 years and we are delighted that this year we are exhibiting the impressive Nirvana. 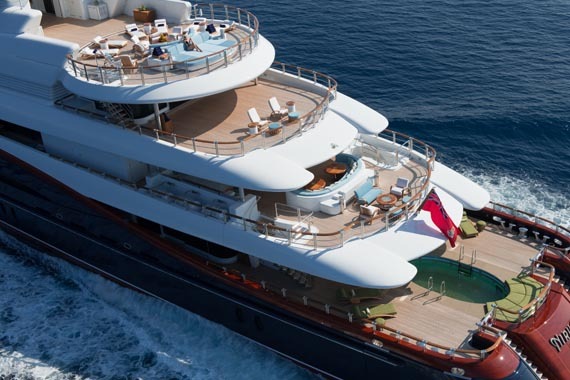 She is the ultimate status symbol for millionaires around the world who want world-class standards at sea with the best possible comfort,” says Nicholas Edmiston, chairman of Edmiston. For more, read our feature on Nirvana here.